The icy Arctic cold stabbed at Wilfred's fingers and toes. A howling wind was pushing the ice pan he was stranded on out to sea - and with it hope of rescue. His clothes, soaked when his dogsled fell through the ice, were now frozen. Lying near his sled dog for warmth, Wilfred fought off sleep, knowing he might never wake up. 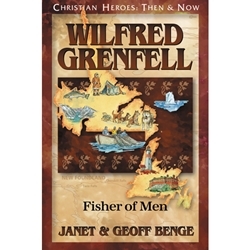 Adventurous Wilfred Grenfell was no stranger to danger. As a new Christian, this English doctor ministered to fishermen on the deadly North Sea. And when he heard about the appalling poverty and injustice across the ocean in Newfoundland, he went to work among the desperately poor fishing communities of the wild, remote Labrador coast.